Young, Kyu Bo and Steve Cho. 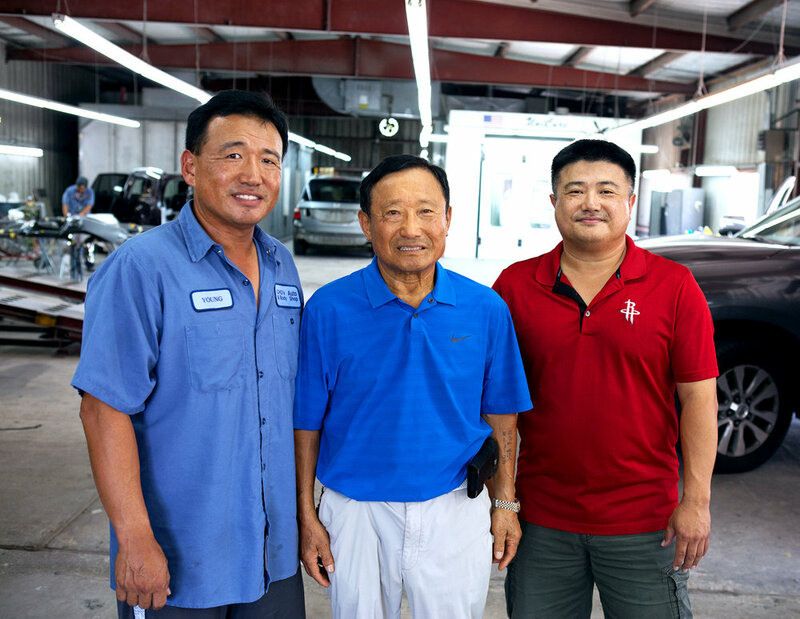 Cho’s Auto Body Shop began when Kyu Bo Cho bought a parcel of land off Boone Road in 1984. But it really began back in the 1960s, when he was driving buses and studying engineering in his native Seoul, South Korea. At that time, 'getting ahead' in South Korea wasn't easy, and Kyu Bo wanted a better life for his family, so he emigrated to the United States in 1976. He worked as a mechanic for a number of shops in the Houston area until he saved enough money to open a shop of his own, with the goal of making it the best in the area. He has over 30 years of experience as a body technician and mechanic. Oldest son Young has been working in the family shop since middle school, studying engineering and business at the University of Houston. He is the shop's General Manager. Son Steve began managing the shop after a career as a chemical engineer. One thing has never changed. At Cho's Body Shop, you're never simply 'one job' but instead someone with whom they want to build a relationship, to be someone you can rely on to give good service at an honest price, and to be someone you can tell your friends about when they ask if you know a good mechanic.